Should you downgrade your phone? You’re not alone. Although smartphone ownership is at a record high and the average Brit spends over 20 hours a week on the internet, not all of us are happy about it. Well, until someone shares a funny video on Facebook. Or there’s a Twitterstorm. Or our energy has replenished on Clash Royale. Wait, what was I talking about again? 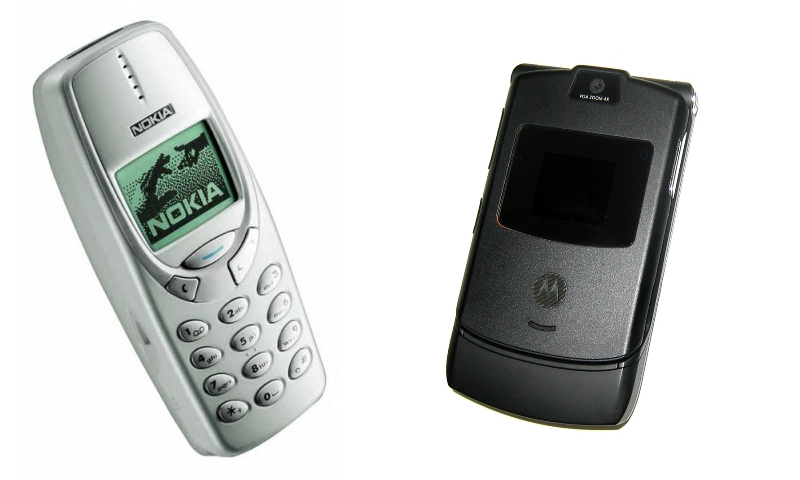 Some people, sick of their compulsion to aimlessly reading status updates from people they haven’t spoken to in 15 years, have decided to fight back by replacing their smartphone with a dumb phone like the Nokia 3210. It’s a drastic move; there’s no social media, no selfies and no messaging apps to bombard your friends with memes, but there’s also no distractions, no notifications and no burning urge to check your phone every 2 minutes even though you’ve got real actual flesh-and-bone people to talk to. So, should you downgrade your phone? To a burnt out, weary smartphone addict, the dumb phone lifestyle sounds incredible. Without the usual smartphone distractions, you can go about your day with complete focus. Your mind is free to wander and daydream, with some claiming that ditching their smartphone enhanced their creativity and productivity. Even if it doesn’t, your mind will be better off by not reading what that guy you hated from school thinks about the latest political hot potato. You’re also free from the constant demands of your friends and family. They can’t reach you on Facebook, they can’t pester you on Twitter and they can’t message you on WhatsApp or any other app that lets people know when you’ve seen a message (possibly the worst ‘innovation’ ever). Instead, they have to call or text you, leaving you free to get back to them at your earliest convenience. Owning a dumb phone is a lot cheaper than owning the latest smartphone too. You won’t be tied down to a pricey contract, and you won’t need to worry about breaking it either because you’ll be able to buy a new one for less than £20. That’s if they break at all; legend has it that a Nokia 3210 can only be destroyed by tossing it into the fires of Mount Doom. One question remains, then: if dumb phones are so great, why do we all use smartphones instead? The answer, quite simply, is that they’ve made life so much easier. From a practical perspective, you no longer have to carry around 4 different devices to call people, listen to music, take pictures and go on the internet. You just need one that fits snugly into your pocket. Much is made of smartphones killing communication too, when the opposite is true. You can find out exactly what your friends are up to just by pressing a button on a screen, and you can contact people a thousand miles away – for free – just by downloading an app. Smartphones have made us more social. On the whole, smartphones have made our lives much, much easier, which is why we haven’t all thrown our iPhones into a lake and replaced them with a Motorola. However, it’s clear that there is some kind of problem. Otherwise, people wouldn’t be ditching their new devices for something made in 1997. That problem is moderation. Your phone is great for instant gratification; you’re bored, so you kill two minutes on Facebook. Unfortunately, this gratification can become addictive to the extent that you’re checking Facebook while you’re at a restaurant or while you’re driving. The best way to moderate your smartphone usage is to introduce boundaries and rules, like vowing only to check your phone in the morning, at lunch and at night, or turning your phone off after a certain time. You don’t even need to be strict about it; just making sure your face isn’t buried in Instagram while someone is talking to you is a step in the right direction. If you’re thinking about downgrading to a dumb phone, think about your own smartphone usage first. Delete any apps that that consume your time without leading to anything productive or entertaining. Limit the time you spend staring at it. Or, think about all the positive stuff you could do with it instead! If you’re still planning to downgrade, you can sell iPhone, Samsung, HTC and many more devices with musicMagpie. We’ll give you an instant price, fast same day payment and a guarantee that we’ll pay you the first price we offer – or you can have your phone back for FREE. Just click below to start selling! How quickly does your phone depreciate in value?